You are here: Home / Archives for ROSER Co. Ltd.
Roser’s stone-coated steel roof is made of high quality Al-Zn alloy steel which is coated with high standard roofing stone granules. It has great long-term corrosion resistance in addition to being incredibly lightweight. It protects against various kinds of weather for users’ safety and comfort. Moreover, a wide selection of colors is available to suit its customers’ every need. Cleo is an elegant and romantic Mediterranean-style stone-coated steel roof with classic taste. Its classic aesthetic appeal and its unique coloration displayed a perfect harmony with the environment that will draw admiration from all homeowners. Cleo has a strong three-dimensional feature on both the length and width because of its unique design and the way Cleo would look when installed. Cleo’s beauty comes from its elegant and romantic design and its strength comes from the distinguished characteristics of a stone coated steel roof. 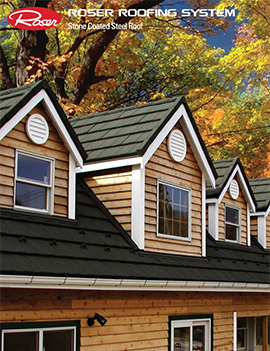 It is simply a perfect combination of beauty and durability that all home owners are looking for in a roof. 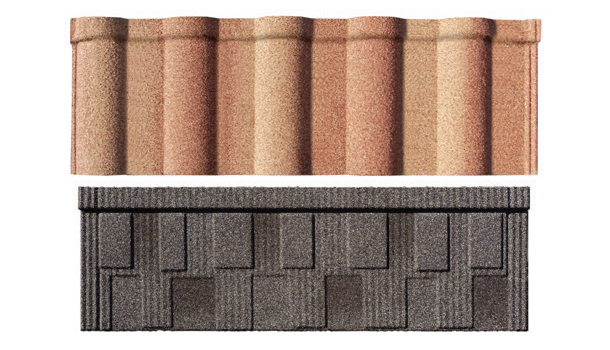 Ordinary stone coated steel roof has a mono tone on its color while Cleo has a two-tone color. The extra color tone not only enhances the overall outlook of the roof, but also vivifies the roof. With the beautifully finished two-tone color touch, Stone Wood Shake adds premium wood grain design to your house. 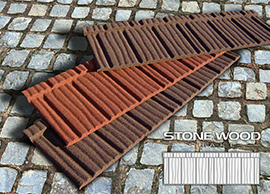 Stone Wood Shake is a world famous, unbelievably light-weight roofing system that can enhance the appearance of your roof with its elegant design and great color range. Stone Wood Shake is designed and manufactured to withstand many kinds of severe weather such as extremely hot and cold temperature, strong winds, and heavy rain. The granulated stone chips on the surface give additional beauty and weather protection to your roof. The product has 1, 340mm of overall length,, with cover length of 1,270mm, and cover width of 362mm. Roser’s stone-coated steel roof is made of high quality Al-Zn alloy steel which is coated with high-standard roofing stone granules. It has great long-term corrosion resistance in addition to being incredibly lightweight. It protects against various kinds of weather for your safety and comfort. Moreover, a wide selection of colors is available to suit its customers’ every need. [INQ. NO. 1411M05] Roser’s flagship roofing system dubbed as “Stone Wood Shake,” popular among customers for many years, features unbelievably light weight and contributes to the immensely enhanced appearance of customers’ roofs with its elegant design and great color range. The roofing system is designed to be used for withstanding all kinds of severe weather such as extremely hot and cold conditions, strong wind and heavy rain and shows strong aspect in resisting corrosion with its specially made nine layers of protection: six on the surface and three on the underside. Thus, it displays its basic function in protecting the user’s home against all the destructive forces of nature because the roofing tiles are designed to overlap and interlock into a horizontal fix system, creating a roof structure of superior strength that is strong enough to even resist hurricane force wind, heavy snowfalls, and earthquakes, thanks to the granulated stone chips on the surface. The newly released innovative product can also greatly enhance the style of any home or commercial building, giving a lasting, beautiful appearance. Established in 1978, Roser has initiated development of steel roof in Korea and now it commands 80% of domestic market and is ranked in the second position in the sale of steel roof as of 2013. Based on 36 years of experience in the manufacture of roofing tiles and building exterior materials, Roser has kept releasing new products on a yearly basis while fully satisfying the needs of global markets and continuously increasing the commanding ratio of the global markets. Roser’s roofing system’s representative brand, “Stone Wood Shake,” as stone-coated steel roofing tile, is now at the center of its paradigm in the production of steel roofs. The globally widespread popularity of the roofing system comes from unbelievable features, which include enhancing the appearance of a customer’s roof with its elegant design and great color range. The stone wood shake is designed and manufactured to withstand all kinds of most severe weather such as extremely hot and cold weather, strong wind, and heavy rain, and it particularly shows strength in resisting corrosion with nine noticeably applied layers of protection: six on the surface and three on the underside. With only six times lighter weight than existing roofing tiles, stone wood shake does not add further dangerous weight to the house at all. Workers can easily handle it, as it is nearly free from the danger of being broken by mistake by workers. 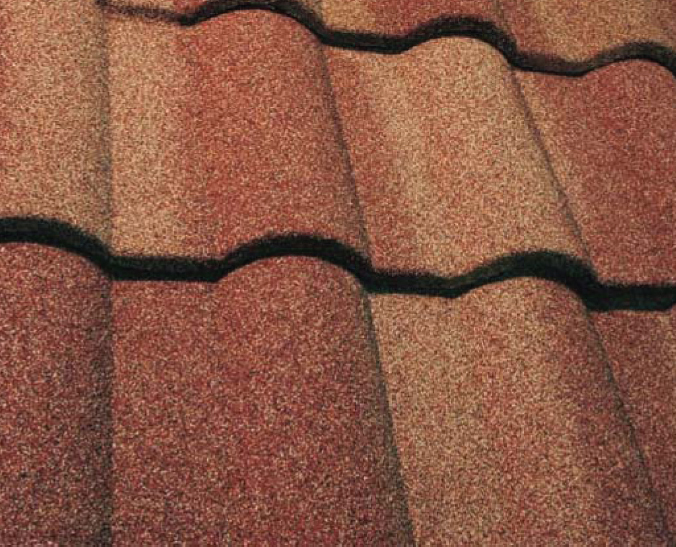 Moreover, the roofing tiles are a symphony in various colors making buildings more elegant and luxurious. 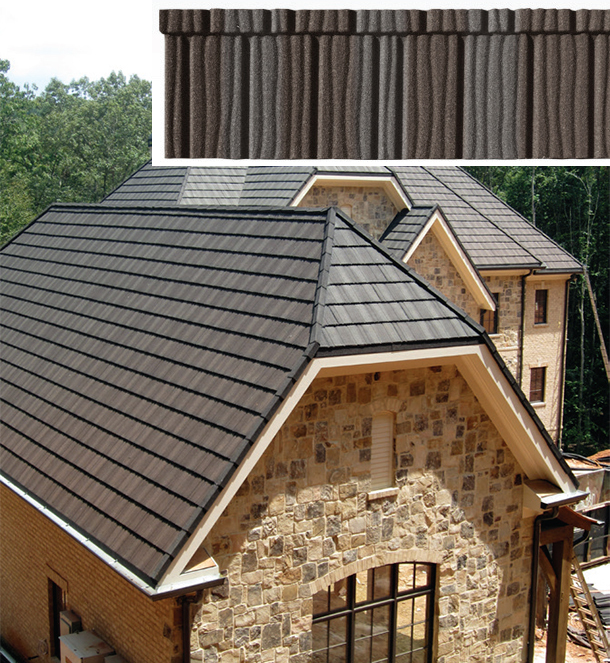 Roser’s newly released Stone Wood Shake, among the maker’s main products equipped well with the Roser roofing system, is a world famous, unbelievably light roofing system that can enhance the look of customer’s roof with its elegant design and great color range. An official of the company was quoted as saying that the product is designed and manufactured to withstand all kinds of most severe weather such as extremely hot and cold weather, strong wind, and heavy rain and it is particularly strong in resisting corrosion with its specially made nine layers of protection: six on the surface and three on the underside. Among its prominent features were protecting the user’s home against all the destructive forces of nature because the roofing tiles are designed to overlap and interlock into a horizontal fix system, creating a roof structure of superior strength that is strong enough to even resist hurricane force wind, heavy snowfall, and earthquakes and giving beauty and additional weather protection to user’s roof thanks to the granulated stone chips on the surface. Thus, the newly released innovative product can contribute to enhancing the style of any home or commercial building, and give it a lasting beautiful look.